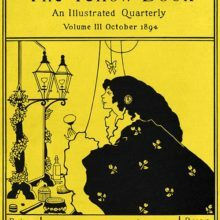 Front cover of the "Yellow Book," vol. 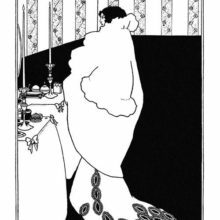 2, July 1894. 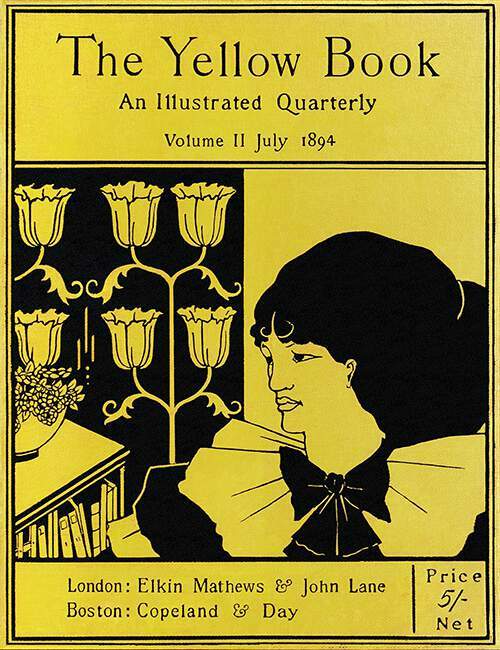 Front cover of the second issue of the Yellow Book showing a three-quarter view of a woman’s face, a bookcase, and a background of stylized tulips.